Weddings around the world have been going on for centuries. It’s the first step of getting married to one’s significant other and beginning a new life. That’s why initially gifts were a way to provide the married couple with every necessary item they’d need before they could start buying things for themselves. However, recently we’ve diverged from that tradition. Nowadays, gifts have become an afterthought. Some buy it at the last moment out of courtesy. Others simply recycle them because they forgot to take it to someone else’s wedding. And even if the gift reaches the married couple, it’s usually the same thing that 100 others have given them, thereby making it redundant. That’s why a Maharashtra couple decided to bring a change to this age-old process. 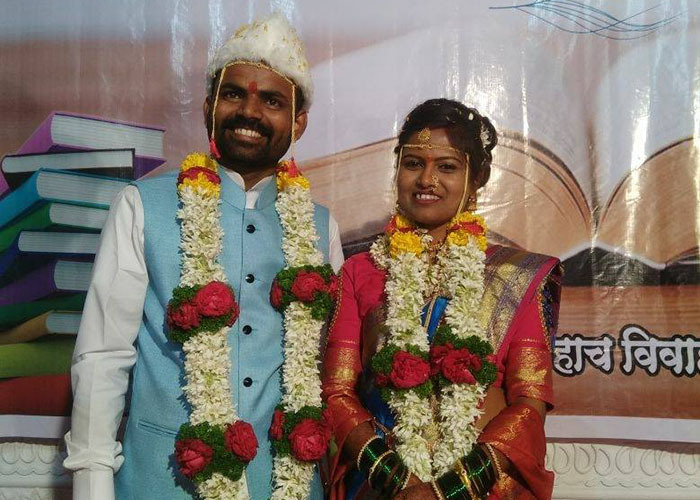 According to News18, Amar Kamalkar from Maharashtra’s Ahmednagar, recently got wed with Rani. The occasion was devoid of any unnecessary ordeals and had one strict rule: books for gifts. Amar has been a social worker for almost 15 years and is in charge of the ‘Yuva Chetna‘ foundation. And since he has always wanted to start a public library with educational books, he utilised his wedding to get closer to that dream. While Amar’s wife Rani, a professor for Economics, was on board with his idea, many others weren’t. But when the couple saw over 300 guests with a book in their hand, they couldn’t be happier. 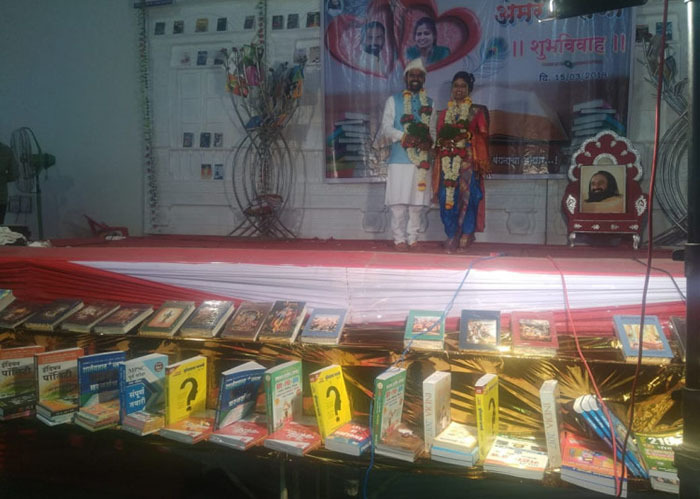 When the couple sat down to count their gifts, they found out that they had received a whopping 3000 books. That’s a huge number. Amar’s drive to do this comes from the fact that he never had access to these kind of books during his studying days. 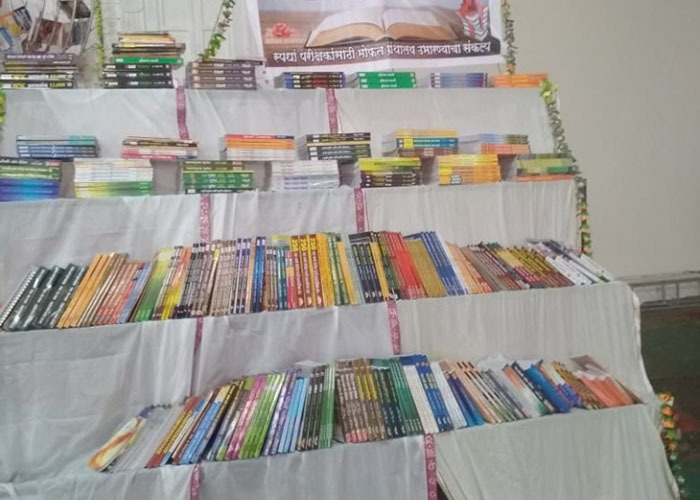 However, now he can help those in need with these books and a library in Ahmednagar. The happy couple have already taken out a substantial amount of money from their savings and have invested in the library. Considering how things are going, it’s meant to open for all by the end of June. What’s even more laudable about Amar and Rani that they’re not stopping after just creating the library. They’ll be providing proper education and guidance to prospective students who want to appear for competitive exams. In addition to that, they’ll be another library in Pune. Now that’s the kind of couple and wedding goals everyone should strive to achieve.